Is Pennsylvania's Congelier Mansion the most haunted house in America? According to legend, the house on 1129 Ridge Ave. was built in the 1860s in the Manchester neighborhood in Pittsburgh’s Northside. Charles Congelier was the original owner and inhabitant, along with his wife Lyda and their maid Essie. Congelier made a fortune as a direct result of the Civil War and moved his family north to settle in the booming industry town of Pittsburgh. Like many great tragic stories, it ends with infidelity and a jealous wife. Lyda, after discovering her husband and Essie were having an affair in a rage, took several knives from the kitchen and slaughtered her unfaithful husband and his paramour. She was found by a neighbor several days later, calmly sitting in a chair with the severed head of the maid in her lap. After the grisly murders the house was dormant for quite some time until a railroad company purchased it in 1892, planning to convert it into housing for their staff. After several workers complained of strange noises and unexplained happenings in the house, the railroad abandoned it and put it up for sale where it remained on the market for several years until 1900 when Adolph C. Brunrichter, a German-born doctor, purchased the house. Brunrichter was described by his neighbors as a recluse who did not often partake in socializing and spent much of time in the house by himself. But on the night of August 12th, 1901, neighbors reported the sounds of a woman screaming and strange lights in the home. The police were called and were appalled to find the body of a decapitated woman and the doctor, nowhere to be found. What comes next is straight out of American Horror Story as they discovered a laboratory in the basement with several more body parts and, most horrifyingly, a severed head that Dr. Brunrichter had used in his ghoulish experiments to keep victims of decapitation alive after the fact. The doctor was never seen again, though almost 30 years later some believe he emerged from hiding in New York, drunk and claiming to have conducted strange experiments in Pittsburgh. Police did not put much weight on the man’s claimed identity and eventually released him from prison, deeming him harmless and never to appear in history again. Thanks to its dark history, which only seemed to grow with each new tenant, the house developed a reputation as a home for wayward spirits. 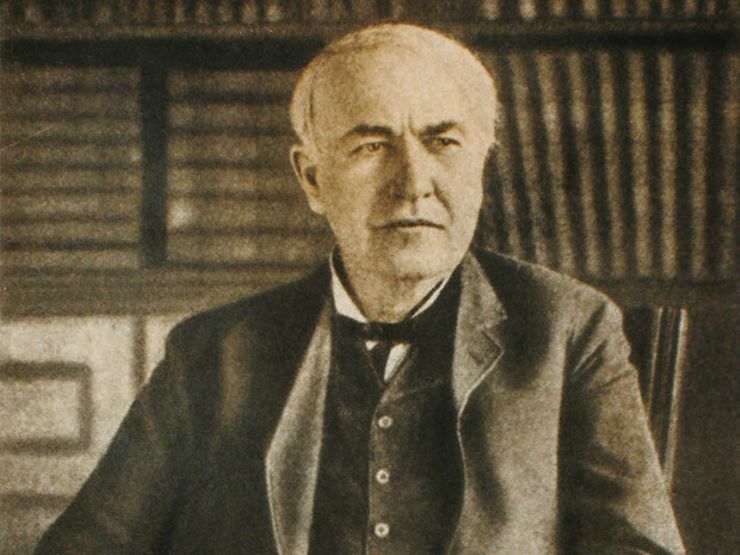 According to some accounts, Thomas Edison himself was one of the many who visited the house to investigate the notorious paranormal phenomenon. Along with Julia Murray, a psychic medium of the time, they claimed to encounter a malevolent spirit with the power to harm the living and the ability to travel beyond the confines of the house. It continued to be dormant of any new inhabitants until it was once again purchased, this time by the Equitable Gas Company, again to be converted into apartments for workers. As before, the workers inside reported strange noises, disembodied voices, and two workers were discovered dead in the basement of the house. No cause of death or homicide suspect was ever found and many of the men quickly moved out of the housing. 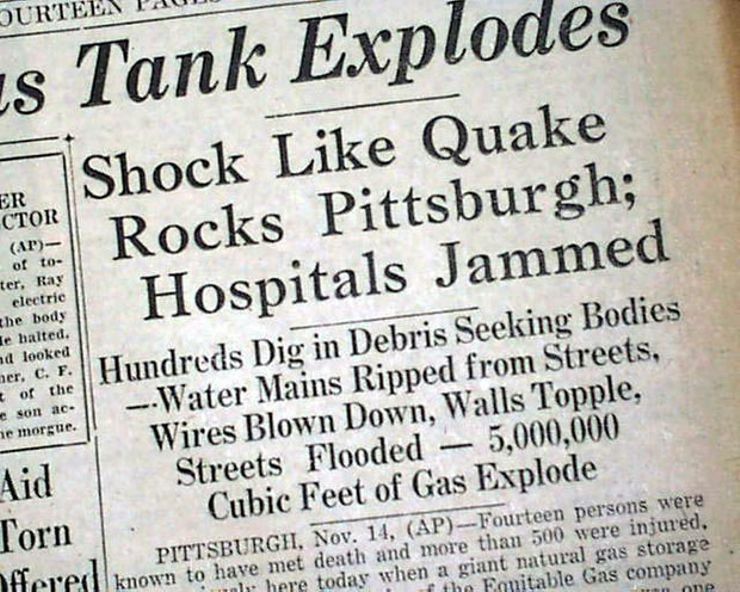 The company continued to maintain a presence in the area but in November 1927, a massive gas explosion resulted in spectacular damage to the surrounding area, leaving 27 dead and over 500 people injured. The house itself was totally destroyed in the blast leaving only a crater in the earth where once the house had stood. The site, however, wasn’t free of its dark past just because the house was gone. Several locals continued to report strange occurrences happening in and around the former location of the house. Leading some to suggest the explosion was caused by the Devil in an attempt to reclaim the dark and mysterious house for himself. The story of the Congelier Mansion has captured the imaginations and the horror of American citizens for over a century. But, like Amityville, how much it is real? We do know a family named Congelier lived at that exact address on Ridge Avenue, and in 1927 Marie Congelier was killed during a gas explosion when shattered glasses from the house windows severed an artery in her leg. The house was then demolished sometime after her death and a highway was later built over the homestead. As for the evil German doctor? No record of him exists according to historian Troy Taylor but the legend continues to haunt locals as they share their experiences and stories of the strange mansion. Perhaps it just so happens the origins of the legends have some horrifying grounding in fact, but it’s something we may never truly know. Pittsburgh is home to a slew of haunted histories, from the hallowed halls to the University of Pittsburgh’s Cathedral of Learning to the world famous Halloween attraction ScareHouse, rumored to be really haunted.